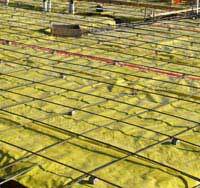 Concrete Slab Vapor Barrier or Vapor Retarder? Home » The Rapid RH® Concrete Moisture Test » Concrete Information & Knowledge Base » Useful Job Tips » Do You Really Need a Vapor Retarder or Vapor Barrier? Do You Really Need a Vapor Retarder or Vapor Barrier? When considering the costs of moisture-related problems with concrete on any job site, it is the mark of a serious professional to take preventative steps in controlling and accurately assessing moisture content as a routine part of a job site schedule. Both in the short-term and the long-term, there is an effective one-two punch in preventing excess concrete slab moisture from causing flooring or other related problems. When moisture content from sub-slab areas such as soil migrates into slabs, it adds to the existing, pre-mixed water content in concrete. This inflates project expenses by slowing concrete slab drying times. It also increases the risk of an eventual flooring failure. Accordingly, standard practice for concrete slabs in most situations is to install a vapor barrier or vapor retarder to inhibit the amount of moisture that can contact the underside of the slab. However, the choice between vapor barrier or vapor retarder can become a gamble of upfront costs vs. long-term risk. When assessing which materials are adequate, vapor barriers and vapor retarders are assigned a “perm” or permeability rating that expresses the ability of water vapor to pass through that material over a certain amount of time (specifically identified as g/m2 hr). That “perm” expresses the material’s ability to block moisture vapor. It also can be seen as an indication of the builder’s insurance against moisture-related issues in the slab. Vapor Barrier? Vapor Retarder? What’s the difference? It’s worth noting right up front that technically speaking, a vapor barrier is not the same as a vapor retarder. It’s an important distinction that unfortunately often gets blurred in industry literature that uses the two terms interchangeably. However, there is a definite distinction when planning an effective moisture management system. Vapor barriers, both by definition and by industry specifications like ACI 302.1R, have a permeance rate of 0.00 perms. Water vapor is incapable of passing through the material. Vapor retarders have a permeance rate that only restricts the flow of water vapor and therefore only minimizes the contact between the concrete slab and surrounding water vapor. According to standards like ASTM E1745, vapor retarders must have a permeance rating of less than 0.3 perms. It is also worth noting that the perm rating is only one of the necessary specifications of vapor barriers or vapor retarders being assessed for construction use. Tensile strength and puncture resistance are also key components for effective moisture management. Even a vapor barrier can be rendered ineffective by a simple hole. Because the term “vapor barrier” often is used to reference both vapor barriers (zero perm rating) and vapor retarders (non-zero perm rating), let’s take a closer look at vapor retarders in order to better understand their performance. How effective are they? Vapor retarders are also sometimes called vapor diffusion barriers (see why the confusion? ), and they serve to protect slabs from moisture content permeation. Although vapor retarders do not entirely seal moisture content out of a slab, they reduce the rate at which moisture content permeates a slab. The lower the “perm” rate, the better for slabs. The US Department of Energy advises that vapor retarders should be installed beneath concrete slabs in most American climates. The International Residential Code (IRC) has three classes of vapor retarders. Class I has the lowest perm rate while Class II (from 1 to 10 perms) and Class III (greater than 10 perms) follow. Membrane materials distinguish the classes as specified by the American Society for Testing and Materials (ASTM) Standard E1745. The US Department of Energy lists all three classes. However, contractors and their clients should aim for Class I vapor retarders whenever possible. The use of vapor retarders (or vapor diffusion barriers) also assists occupants with moisture content management over the long haul. They must be installed properly in order to deliver maximum moisture content diffusion. The whole idea is to produce a precise and acceptable concrete floor moisture test result as expediently as possible. Few things in construction inflate project expenses more than excess slab moisture content, and a vapor barrier can prevent excess external moisture from making its way into the slab. 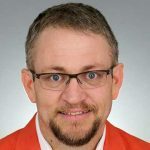 Ultimately, the label “barrier” or “retarder” matters less than that perm rating and other criteria in determining the best choice for preventing moisture intrusion from below the slab. 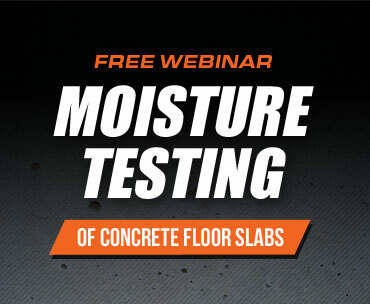 Above the slab, there’s another critical tool for managing concrete moisture. Apart from concerns about external moisture sources, every drying concrete slab will have its own internal moisture to be monitored. Even with a well-installed vapor barrier, contractors need to conduct a thorough and all-inclusive concrete floor moisture test of water content in concrete before proceeding with sealants or flooring installations. 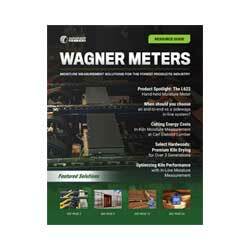 Wagner Meters has produced a state-of-the-art moisture content assessment system: the Rapid RH® 4.0 EX. The Rapid RH® assesses overall slab relative humidity (RH) levels with in situ moisture probes which are placed into drilled test holes. Although the ASTM F2170 standard, the standard that gives direction on proper RH testing in slabs, requires 72-hours now only 24-hours for documentable test results, in as little as one hour after placement, the Rapid RH® Easy Reader will display RH content results to within three percent of the final result. Cost-effective design means slab installers can conduct RH testing in multiple locations for accurate overall slab moisture conditions. Because moisture content rises from bottom to top as the slab dries, it is crucial to obtain RH data that reflects conditions of the entire slab, not just of the slab surface. The Rapid RH® is an outstanding investment in preemptive moisture content management. When moisture content interferes with drying times, contractors must extend project times at great expense. If they proceed before the slab is ready, moisture content can lead to problems such as osmotic blisters and adhesive breakdown in floor coverings. At worst, a slab’s integrity can be compromised. 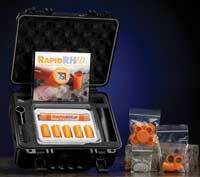 The Rapid RH® helps contractors and clients to avoid the exorbitant costs of slab remediation after the fact. It’s a winning combination: a vapor barrier underneath the slab and Rapid RH® 4.0 EX concrete floor RH test. Bring moisture content to contract specifications. It’s the ultimate ounce of prevention. Hi Douglas, I would reach out to one of these companies: Carpet Cushions and Supplies in Louisville at 502-961-8448 or Southland Flooring Supplies, also in Louisville, at 502-968-3333. They sell the products and should be able to direct you to qualified applicators. Can you recommend any companies that specialize in applying moisture barriers over concrete slabs in the Tampa, FL area, zip code 33618? How appropriate that I get this comment now. I am sitting in your beautiful town as I type. Many of the manufacturers of mitigation products have authorized applicators, so it may be best to choose a product and then ask the manufacturer for an authorized applicator. Also, you will usually find that quality flooring contractor also do this kind of work. Do you think Slab on Vapor RETARDER is considered exposed to earth per ACI318 definition? I don’t know what is reasonable concrete cover for slab over vapor RETARDER (not barrier). 3″ or 1 1/2″ ? I will be completely honest, until today I had never even scanned ACI318. I searched the entire document for the word “retarder” and found one occurrence, unrelated to what we would normally see when using an under slab vapor retard. The usual specification for a vapor retarder, related to the performance of finishes, comes from ACI 302. This ACI 318 looks to just be proper construction techniques for a structural slab in general. I might be misunderstanding your question. Good luck.